Posted on June 3, 2015 by Michele D.
A few years ago, we were visiting LA and stopped at a Kosher deli on Pico street for lunch before heading to the airport. I ordered and devoured a hamburger topped with pastrami that was fried so crisp it reminded me of my old treif friend bacon. It was amazingly delicious, and I haven’t stopped craving it since. 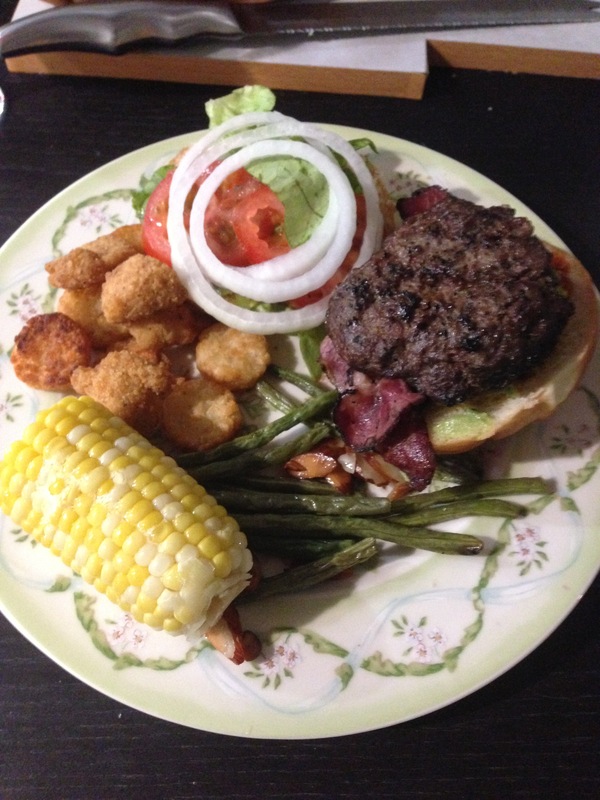 A few weeks ago, I decided to attempt a repeat of said burger and the above photo is the result. OK, so it wasn’t as good as the bacon-like burger in LA but it was pretty darn close, and I didn’t need to fly anywhere to get it. Afterwards, we treated ourselves to strawberry shortcake topped with it-so-shouldn’t-be-served-after-a-meat-meal whipped cream. 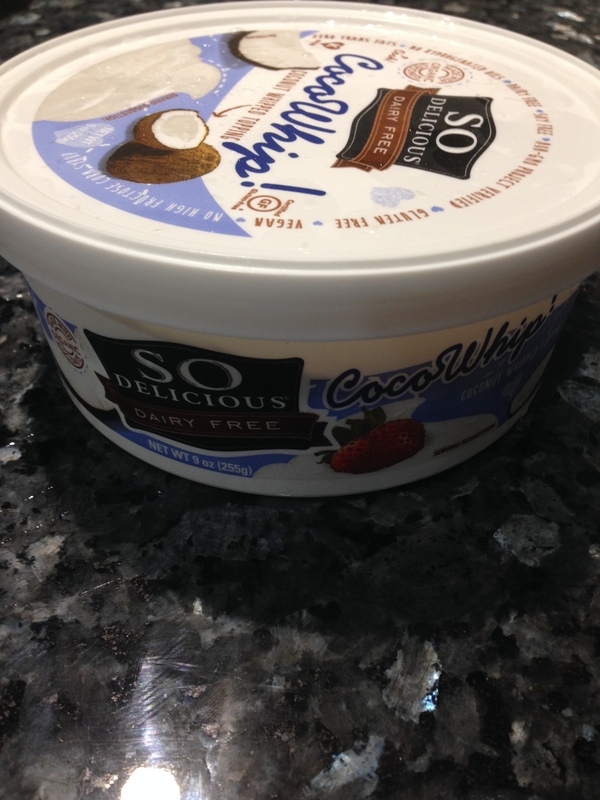 Thanks to my new friend, So Delicious Dairy Free CocoWhip, we were able to enjoy a dairy-like dessert favorite but in a Kosher pareve form, and it taste just like the real, fat-filled dairy whipped cream. It’s ready-made and can be frozen and then thawed about an hour before you plan to serve. I found it at Wholefoods in Dallas. It felt so decadent to be eating whipped cream topped strawberry shortcake, just like my mom used to make, immediately after eating a similar-too-bacon burger. 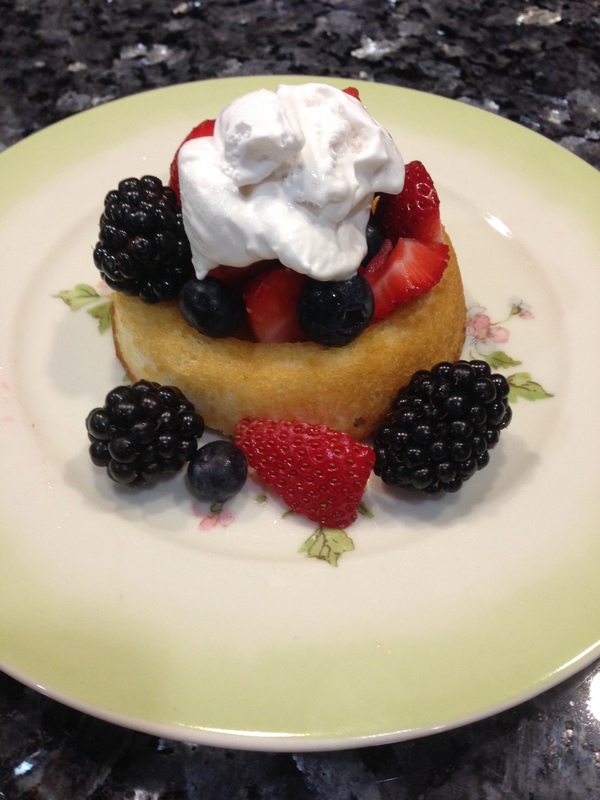 Have you turned any of your dairy favorite desserts into pareve treats to enjoy after a meat meal?